Flood watches stretch from Virginia all the way to Massachusetts on Tuesday morning, including Washington, D.C.; Harrisburg, Pennsylvania; Albany, New York; Hartford, Connecticut; and Boston. 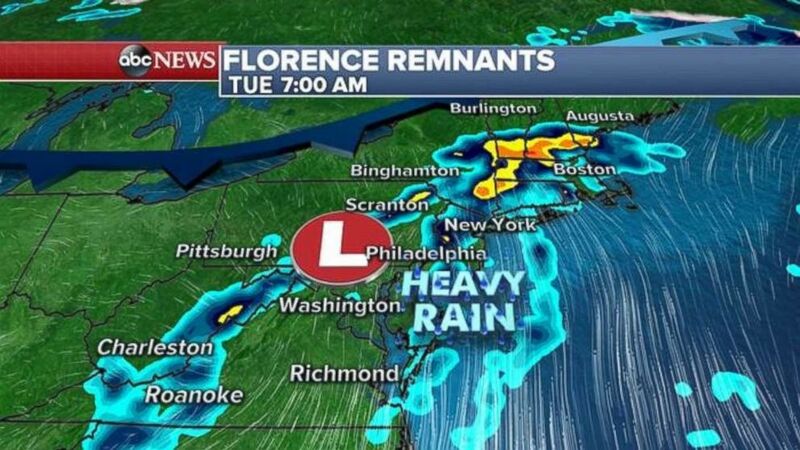 By 7 a.m., remnants of Florence will continue to move through Pennsylvania and into southern New York and northern New Jsersy with heavy rain to the north in the Hudson Valley and parts of New England. 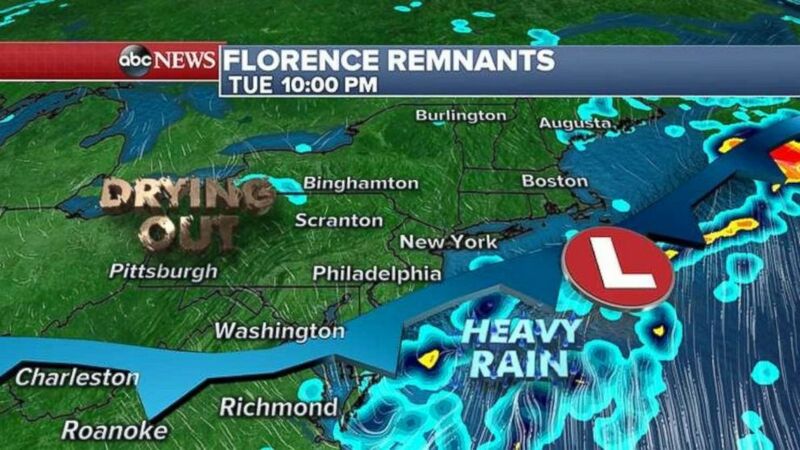 Remnants from Florence are moving into the Northeast on Tuesday morning. A cold front will begin to push remnants of Florence toward the coast by Tuesday afternoon with heavy rain expected along the I-95 corridor from Philadelphia to New York City and Boston. Some flash flooding is possible. The rain will move off the East Coast by Tuesday night. The cold front pushes all the heavy rain off the coast and the Northeast begins to dry out by Tuesday night. Additional rainfall will be the heaviest in New Jersey and parts of New England, where there could be an additional 1 to 3 inches of rain. 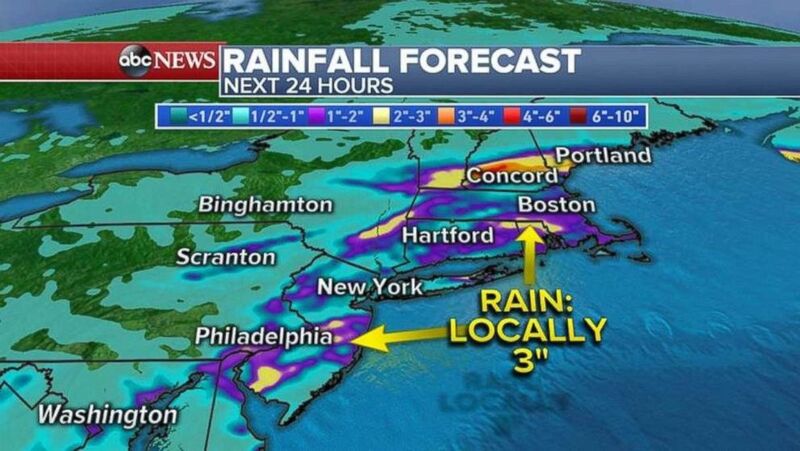 There could be 3 inches of rain locally in New England and New Jersey.